Maryland Pink and Green: Thank you notes now and all year long. 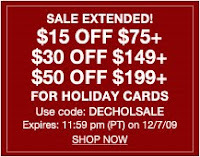 . .
With the holidays quickly approaching, it’s a great time to stock up on supplies to write thank you notes. It’s so important to show your appreciation to someone after they have given you a gift or shown you a kindness. Make your thank you note personalized and be sure to mention the gift in your message such as, “Thank you for the Lilly Harper dress. I love the Dirty Shirley print and will enjoy this dress so much this spring.” Hint, hint! Show your personal style with gorgeous note cards. I love it that Lilly Pulitzer has note cards! 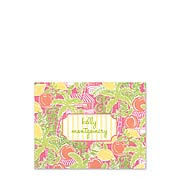 You can get your Lilly Pulitzer note cards from Via stores or Corporate stores. Many of the Lilly notes and invitations can be personalized. Be sure to send your thank you notes promptly. Informal note cards are acceptable in almost all situations, except for thank you notes written for wedding gifts. When should you send a thank you note? Obviously, you should send a note for any gifts that people give to you, including gifts send in the mail and gift certificates. Remember to thank your hosts after being a houseguest or attending a dinner or event organized in your honor. Another site I love for cards of all kinds is tinyprints.com. They are having a special promotion right now, so you can take advantage of this great deal and order thank you notes or Christmas cards. If your Mom raised you right, you’re going to need thank you notes! These thank you notes are so cute! 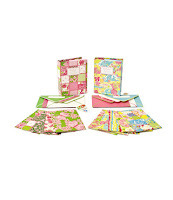 I love the Lilly thank you notes, just too adorable to pass up! Your blog is so cute! I have added you to my blog roll!